Ken Drew Marian Crispell & Raymond McDonald @ N'cle Uni. Still time to send in your choices. Up to 3 choices per category. We'd all heard of Frankie Dunlop, drummer with Monk for many years, I recall seeing him with Lionel Hampton at Newcastle City Hall - a living legend. 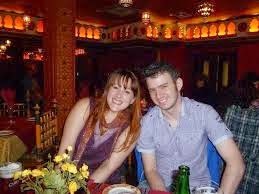 But what about his elder brother Boyd Lee Dunlop? I too shook my head. The name meant nothing. 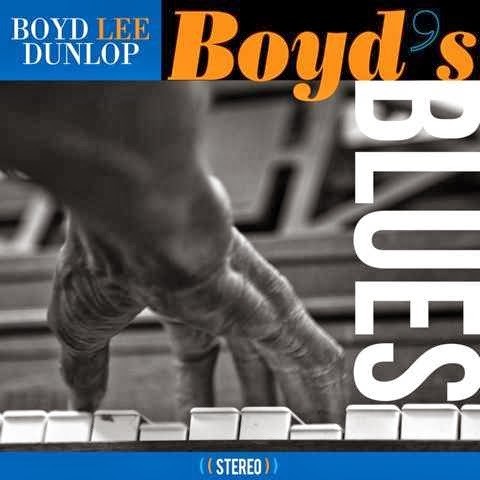 That is, until the announcement of his death on December 28 aged 87 when I investigated further..
Boyd gave Frankie his first drum lesson, worked as a labourer in a steelworks whilst playing piano in a club in Buffalo at night, and at 85 made his first CD after someone heard him play in the nursing home where he now lived. It was so successful they recorded him again the following year. How's that for being a late developer? Fund-Raising event donations to Marie Curie the night has been bequeathed to us by Blaydon Jazz Club. Thursday 23: Label Newcastle, 14-16 Newgate St, Newcastle NE1 5RG. 8:00pm . Cover Charge TBC. Wednesday 29: Hexham Jazz Club, The Exchange Café, Beaumont St, Hexham, Northumberland NE46 3LS. 01434 608765 - 8:00pm £3 cover charge. Thursday 13: The Victoria, 244 Whitley Rd, Whitley Bay NE26 2TE. 8:00pm cover charge TBC. 0191 251 3753. Friday 4: No28, 28 Nelson St, Newcastle upon Tyne NE1 5AN. 10:00pm no cover charge donations to the Pink Lane Jazz Coop.0191 232 2005. 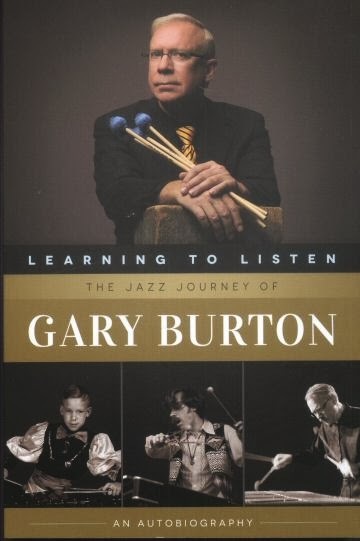 Well that is how it was for me regarding my Best Jazz Read of the Year. 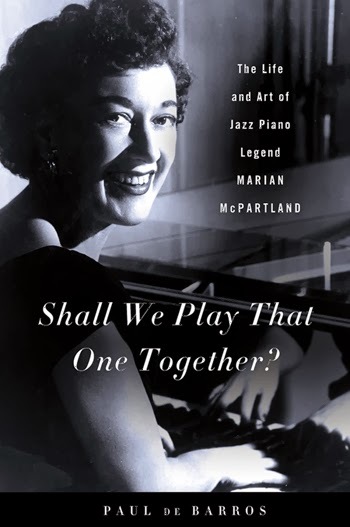 Paul de Barros' biography (written in conjunction with) of Marian McPartland Shall We Play That One Together? was odds on favourite and looked to be running out an easy winner. I note that Jazz Café gigs start at 10pm (apart from the 'all day jazz extravaganza') and Pink Lane Jazz Co-op gigs start at 9.30pm. That's generally off-puttingly late for me. Audience numbers could be affected if, as is possible, a significant number of others feel similarly. I recall the late Chris Yates making a point of starting the JNE gigs he promoted at 8pm, not least for the benefit of audience-members catching public transport home (like the 27 bus). Perhaps it would be worth the Jazz Café and the PLJC considering starting gigs at 8pm – like Splinter @ the Bridge – or, latest, 8.30pm. T.J. Muller's Honky Tonk Jazz Band @ Hoochie Coochie. December 29. T.J. Muller (tpt/vcl); Paddy Darley (tmb); Oly Clarkson (clt); Barry Hart (vln); Ben Fitzgerald (gtr); Tom Fletcher (pedal steel); K.D. Harbot (bs); Paul Archibald (dms); Iuthe Muller (vcls). (Review by Lance/photo from T.J. Muller's archives). Last Saturday night I was watching the review Café Society Swing in a London theatre. It told the story of the Café Society night club that flourished in New York either side of World War 2. Tonight I was back there, or so it seemed! This was Hoochie's Sunday Night Stomp and it was a delightful and enlightening experience. A lively night at one of Newcastle's coolest bars with Blue Jazz Quintet. Why not make this a Pink Lane Jazz Coop party before the festive party season finally comes to an end? The popular jazz nights at Salsa Café and Tapas Bar continue from 11 Jan with three excellent trios. Bring your instrument and join in, or just enjoy the vibe. We're arranging the live music at the Jazz Café on the final Friday of each month. This month it's top Tyneside vocalist Lindsay Hannon. This isn't really a Pink Lane Jazz Coop event but the owners of the Jazz Café asked if we could pull together a few musicians for a late night session. Live music starts at 11pm and we're expecting various excellent local musicians to drop by. to be passed. This says much for the charisma of the man. A year on his name is still bandied about - sometimes with reverence other times just the opposite (probably in equal dozes). Whatever, he was a man who touched our hearts in many ways. His funeral and the wake that followed remains my gig of the year - I think it will be a one for all time. Hugh Masekela on Radio 3 at Noon. Hugh Masekela is Michael Berkeley's guest on today's edition of Private Passions (Radio 3, 12noon). Pete Gilligan (Piano); Mark Williams (Guitar); Don Forbes (Trumpet). Life is complicated enough. And jazz is just a chance to escape from it, at least for a moment…Cabin fever had set in at home and I needed some Jazz, so off I went to the Jazz Café for what can only be described as a bouncing night! The first set was just Gilligan and Williams, who were later joined in the second set by Don Forbes and his trusty trumpet. Gig of the Year. 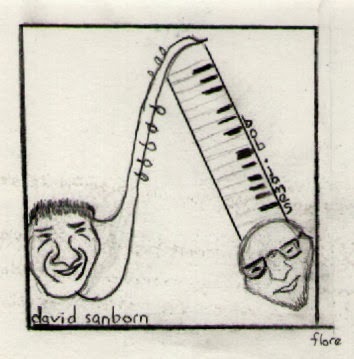 David Sanborn & Bob James @ The London Jazz Festival. Barbican, November 16, 2013. David Sanborn (alto); Bob James (piano); Scott Colley (bass); Steve Gadd (drums). My ticket to the concert was a wild card, a mystery trip as the group were unknown to me. My mind was a blank canvas. By the end of the first piece a rainbow of colour had been painted. I have since reflected on why the occasion had such a profound effect on me. My conclusion is simple - keep jazz live - the impossible is possible. January 17: Paul Edis (solo piano). March 21: Mo Scott Trio. April 25: James Birkett/Bradley Johnston Jazz Guitar Duo. All concerts start 1pm. Admission £4. Congratulations to Kate and John. Singer Kate Peters and bassist John Marley have announced their engagement. 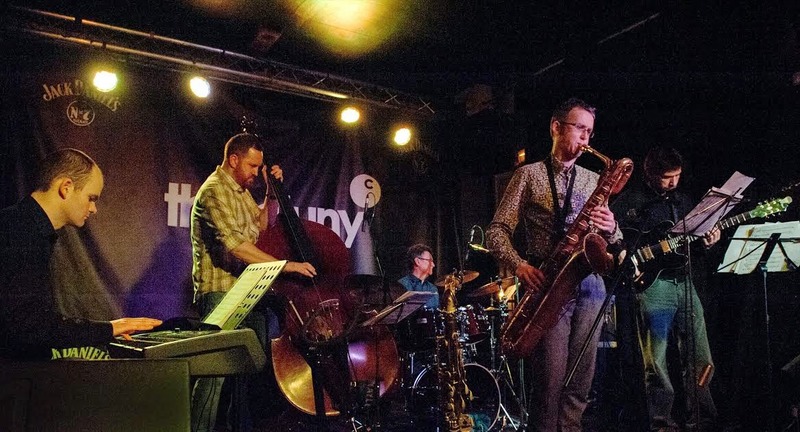 Although Yorkshire based, the couple have appeared with various bands, including the Kate Peters Sextet, at several north east venues including the Bridge Hotel and Hoochie Coochie. We send them our best wishes and hope that all their troubles are semi-quavers. Jamie Taylor (gtr); Matt Anderson (ten); Garry Jackson (bs); Dave Walsh (dms). A meandering start had me groaning and saying to myself "This is going to be one of those Scandinavian epics where it takes three days to get past the first 8 bars." Seemingly, I read, producer Sam Hobbs underscores the collective improvisation with otherworldly sounds of uncertain origin! However, I should have known better than to almost write it off after a few bars! These guys are from Yorkshire which is almost as good as being from Tyneside and, as the CD progressed, I realised there were no Trolls aboard. BBC Radio Ulster Jazz Club has some good clips past, present and coming up in the future. Thanks to Simon Spillett for drawing these programmes to my attention. Frank Griffith - Master of the Reeds. On my recent London jaunt I was impressed with the clarinet (and tenor) playing of Frank Griffith and, after receiving a friendly thank you email from him, I visited his website which is well worth checking out featuring as it does, a superb Body and Soul as well as a track from Tina May's album Divas with the Frank Griffith Big Band. It's the old Peggy Lee/Benny Goodman classic Why Don't You Do Right? - Take it from me they certainly do do it right! Just caught up with the sad news that altoist Herb Geller died on December 19 and multi reedman Yusef Lateef died on December 23. Herb Geller was one of my favourite alto players ever since I heard his version of Bess You is my Woman Now with Clifford Brown and others on an Emarcy Jam Session back in the 1950s. Another favourite was Hollywood Portraits in which he paints musical pictures of stars such as Rita Hayworth, Betty Grable, Lana Turner and others. Geller, who was 85, died in Hamburg. Sadly missed. Obituary (includes lovely clip of Herb playing If I Were a Bell.). (Saturday 28) tune in to Jazz Line-Up (Radio 3, 6:00 pm) and tuck in to your first helping of Wayne Shorter recorded at the Barbican during this year’s London Jazz Festival. A second helping will be served on Monday (30) on Radio 3’s Jazz on 3 (11:00 pm). See out the old on New Year’s Eve (Radio 3, 4:30 pm) with music and chat from the Stables, Wavendon - Sean Rafferty at Home with Dame Cleo Laine and Jacqui Dankworth. And on iplayer... Monday 23 (Radio 2, 10:00 pm) Jingle Bell Joe: Radio 2 House Party features Joe Stilgoe and his band. Guests include Caro Emerald. Sting: When The Last Ship Sails. BBC1 Sunday December 22. Sting (vcls/ gtr/bs/narration); Jimmy Nail (vcl); Jo Lawry (vcl); Kathryn Tickell (vln/North-pipes); Peter Tickell (vln/man); Julian Sutton (melodion); Ira Coleman (bs); Joe Bonadio (dms); Dominic Miller (gtrs); The Wilson Family (vcls); Rob Mathes (MD/pno/gtr/vcl). This was good! It wasn't jazz - it wasn't intended to be. It was folksy and, musically, better suited for review by Ann Alex rather than myself. However, as AA probably never worked in a shipyard and I spent my early wage-earning years loosely connected to the then ginormous industry, perhaps she will excuse me for pulling rank! Lance appealed for more horns to come to this session and they certainly did: John Rowland, Stuart Findon and Fiona Findon, appeared during the afternoon with their tenor saxes, and also a lad (from London I believe) Sam Newbold, with his alto, who played some blistering fast sax, a joy for horn lovers and everyone else. Gig/CD of the Year reminder. As the year draws to a close and the gigs with them it seems that now is the time to reflect and make your choices of Gig of the Year or CD of the Year. I've made my choices known - let us know yours. I'm sure you've all listened to at least one CD and been to a gig or three so don't hang about. 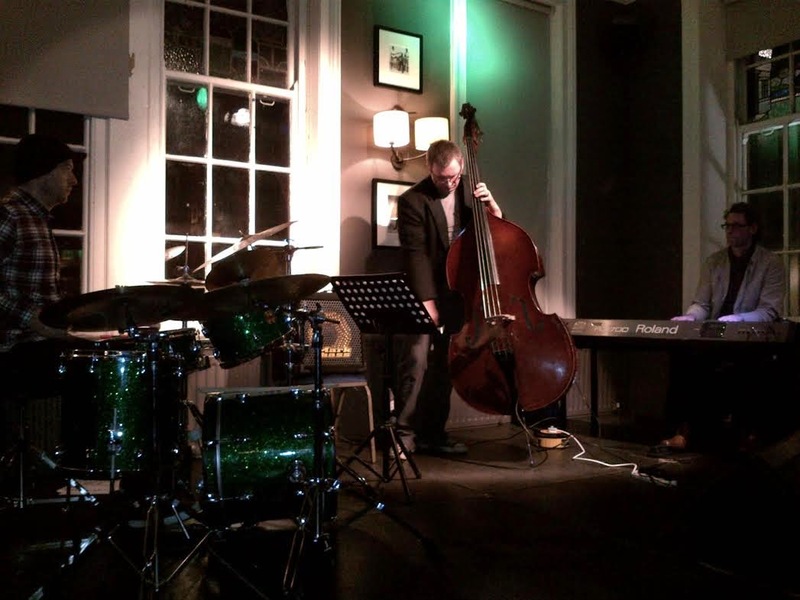 Simon Spillett Quartet @ The Oval Tavern, Croydon. Simon Spillett (ten/sop); Ted Beamont (pno); Tim Wells (bs); Trevor Tompkins (dms). Simon Spillett never fails to impress. With a technique that outstrips most of his contemporaries (with each hearing he seems to add an extra hundred notes per phrase!) And yet, these aren't mere hip arpeggios but meaningful usage of the tools at his command. He is a walking, living, Jazz Courier with Tubby's technique and Ronnie's laconic sense of humour. The 73 bus, the train and the walk to the oak beamed pub was well worth the effort. I don't know if the beams are genuine but the music certainly is. And if the beams are genuine oak then, because of the low ceiling, they ran risk of being somewhat singed as the notes flew upwards with the ferocity of a Xmas fireworks display. Café Society Swing @ Leicester Square Theatre, London. December 21. Cherise Adams-Burnett, China Moses, Alexander Stewart (vcls); Harold Sanditen (narrator/vcls); Alex Webb (MD/comp/arr/pno); Sue Richardson (tpt/flug); Nathanial Facey (alt); Frank Griffith (ten/clt); Nathanial Cross (tmb); Jo Caleb (gtr); Miles Danso (bs); Shane Forbes (dms). Directed by Simon Green. (Review by Lance. Photos courtesy of Alex Webb - China Moses [l] Alexander Stewart [r]). Forget Les Mis or Lloyd Webber's latest this is the only place to be. It should run longer than The Mousetrap but it's only on for 2 nights and tonight is the last performance so don't procrastinate but Hurry on Down to this Playhouse Baby - to misquote a tribute to Nellie Lutcher by Adams-Burnett in this wonderful show. Well folks this is probably my last review this year… but it was a good gig to review. Mo Scott is well known as a Jazz and Blues Singer and was accompanied by a smashing group of musicians, Pianist, Stuart Collingwood showed his style and superb ability, Neil Harland and his Bass really brought a something special to the night, and supported by the ever steady rhythm of Rob Walker on Drums… we only got to see a small section of his individuality but nevertheless is was worth seeing… more drum solos next time guys. Anyway, as brevity is it seems a requirement of one reader of this blog, I will keep it short. Paul Bacon dms, John Robinson bass, Dave Rae bjo, Jim Blenkin tbn, Liz Bacon clt plus guests Peter Wright tpt and Ian Wynne pno. 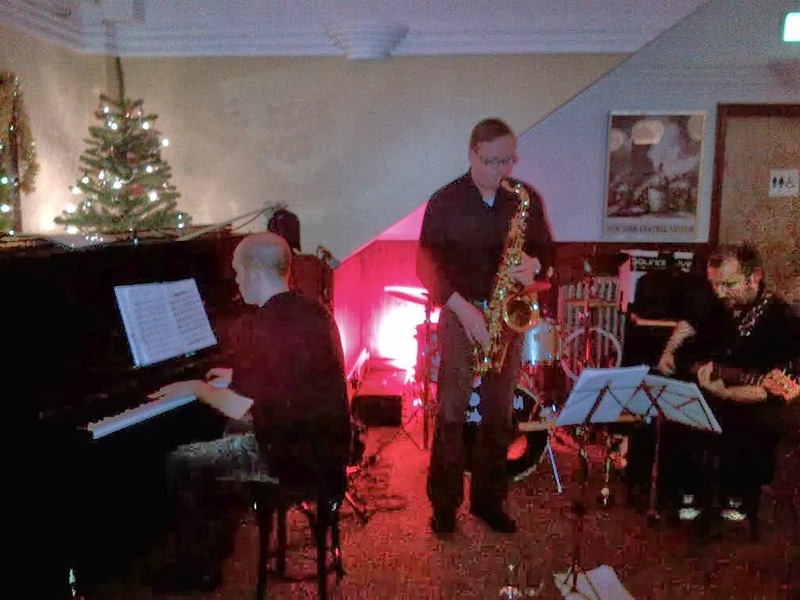 A lovely session of pure New Orleans jazz was served up for the faithful regulars, along with the traditional sumptuous Christmas buffet, making for a most enjoyable and convivial evening. This just one of literally hundreds of concerts that have been staged by the Fell jazz club since it was all begun by the late drummer Ray Brown back in 1994. When Ray tragically passed away in 2000 the running of the club was taken on by enthusiasts Ron and Joyce Pollard who have, with great determination and devotion, kept the club going since then, such that it reaches its 20th anniversary in 2014. That will be 20 years of weekly sessions – somewhere around 1000 concerts. They deserve a medal! It was a cold, grey damp Thursday afternoon in South Gosforth when having gotten all my timings wrong for wandering around Majestic wines and meeting up with a friend I found myself with a couple of hours to kill. No problem I thought, just go to the Brandling ( a pub last visited when I was in the 6th form at St Mary's) and have a couple of quiet pints. Well quiet was out the question as the place had a couple of large raucous groups in and there's nothing that makes you feel more like 'johnny no mates' than standing at the bar on your own when everyone else is laughing and the air is filled with loud chatter! Still all was not lost, there was always the Millstone to try, so I braved the rain and wind and headed there, pushed open the door to be met with the unmistakeable aroma of Christmas dinner and the gentle hubbub of conversation, this will do I thought so a pint of Tyneside Blonde was duly ordered. Deidre Cartwright Trio @ Jan's Bar, Stoke Newington. Deirdre Cartwright (gtr); Alison Raynor (bs); Winston Clifford (dms); Diane McLoughlin (ten); Sarah P (vcls). By the time I got to Stoke Newington I was train-lagged, bus-lagged and beer-lagged. By which I mean I'd East Coast trained it from Newcastle, London Transported it (No. 73) from Euston and paid £5.70 for a pint of cloudy Belgium beer. Still I'd made it in time for the advertised 8:30pm start which turned out to be 9pm. Nevertheless, once the music started all this was forgotten. Entry was free and it was worth many times more than £5.70 so, in real terms, the beer was a bonus! Ruth Lambert (vocals), Giles Strong (guitar), and Mick Shoulder (bass). Gateshead International Jazz Festival 2014 - Full line-up now finalised. Highlights include... The Spring Quartet featuring 2012 NEA Jazz Master Jack DeJohnette on drums, heavyweight saxophonist Joe Lovano, 2011 ‘Best New Artist’ GRAMMY award-winner Esperanza Spalding on bass and Argentinian pianist Leo Genovese. PLUS 2013 GRAMMY award-winner Robert Glasper with his Experiment ensemble; jazz, funk and soul musician Ed Motta; Courtney Pine with the critically acclaimed ‘House of Legends’ project; Bill Frisell Trio, Polar Bear plus Shiver, The Scottish National Jazz Orchestra with Jacqui Dankworth; Django Bates, Joakim Milder and theNorrbotten Big Band; Jean Toussaint Quartet; McCormack and Yarde Duo with theElysian String Quartet ....and much much more! To see the full line-up and to book tickets visit our (Sage Gateshead) website. Lance thought it was most amusing when I said that I was going to a Bulgarian Singing Workshop. This was at the Sage on Wednesday December 18 and was lead by Katherine Zeserson, and very useful and enjoyable for the 30 or so people taking part. This type of folk singing is usually performed unaccompanied, out of doors, with big natural voices, no vibrato, and has a sort of ‘earthy feel’. Very different from jazz singing so far. Yes you read correctly, Warren has just issued the following on Facebook. Proud to announce one of the most important gigs I have ever promoted.. Live at Hoochie Coochie Fri March 14, Mr Gregory Porter & band. I cannot wait! Tickets now on sale, but not for long I suspect, so don't hang about. Regular readers of this blog will know only to well that any gig by ACV will receive a five star review. It would be easy to write See previous review(s). Brevity would appear to be the watchword of one reader, however a few more words surely wouldn’t go amiss. Andy Champion’s quintet played a blinder, not withstanding some difficulties with the sound and of particular interest on this occasion was the introduction of some new material. 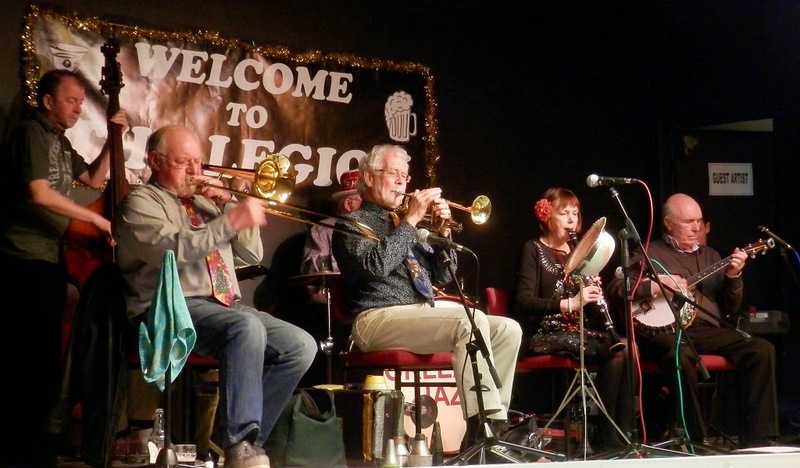 The Black Bull on Bridge Street hosted Blaydon Jazz Club’s Christmas Party. A good turn out ensured the traditional buffet met expectations – plenty for all! Raffles prizes were plentiful, so much so that it was short odds on winning a prize. All of this, of course, was but icing on the Christmas jazz cake. The musicians, hand picked for the occasion, offered a cast iron guarantee of quality. No need to keep your receipt in the event of returning an unwanted gift on Boxing Day. Tommy Smith - In The Spirit of Duke. What better Christmas image could we choose than this art décor Melody Maker front page from Xmas 1926 and sent to us by Colin Aitchison? Colin's collection of Melody Makers, covering the decades from the 1920s to the 1960s, are becoming legendary. He was recently approached by a radio station in Oregon re a 1944 copy reporting that Glenn Miller was missing. They plan to use it in a broadcast rather than some late news! Interestingly in 1926 it cost one shilling yet by 1960 it was only six old pence! If only everything had come down like that. Check out his library of complete issues here. Colin Aitchison, Our Man in Hong Kong, has sent us this radio ad for this Thursday's broadcast from Ned Kelly's Last Stand - The longest running jazz venue in Asia (41 years)! It goes out at 9pm (Hong Kong Time) which by my calculations is 1pm (GMT). Don Forbes put together a few musicians to play a short set at this event. Don Forbes - Trumpet; John Rowlands - Tenor; Rachel Richmond - Alto; Jude Murphy - Alto and Vocals; Dave Parker - Bass; Peter Ninnim - Drums. This was one of the most unusual gigs the writer had ever attended! The Band set up on the pavement, (pleased I remembered the drum mat) there was no electricity so no mikes, and the happy noise of the trains thundering overhead as they came out of Manors reminded me of the old pictures of street bands in Chicago! The crowd eventually got into the music and the applause was really building by the end. The band started with Alfie's Theme by Sonny Rollins and included amongst other things a great version of Scotch and Water written for the Cannonball Adderley Sextet by Joe Zawinul; Nostalgia on Times Square by Charles Mingus; Billy Taylor's I Wish I Knew How it Would Feel to be Free and Benny Golson's Are You Real? recorded notably by the Jazz Messengers'. The sound was surprisingly good bouncing off the underside of the bridge and the two man rhythm section worked well together and could hear the horns well; here's to next year! Hi, Lance! Yes, I picked up the baton after clarinettist, Ronny Robinson, sadly passed away in 2006. However, I had been responsible for marketing the band, creating gig opportunities and making sure things happened for many years prior to that. Being the 'front man' isn't really my forte, but someone has to do it. So it's now 7 years. Seems like an eternity, tho! Margaret Barnes reminded me recently that next year, 2014, will be our 60th anniversary. Pete Deuchar, grandson of brewery and hotel magnate, James Deuchar, founded the VCJ way back in 1954. Two of the original founder members are still with us and live locally. Drummer, Pete Drysdale, lives in Whitley Bay and calls into the Crescent Club to hear the band occasionally and trombonist, Jack Goodwin, who lives in Whickham, still keeps in touch. I'm sure there's one or two other bands that have been around for a similar length of time, the Merseysippi Jazz Band in Liverpool, maybe? I recall the VCJ from the early days with Pete Deuchar (or Duker as he later re-titled himself) and Peter Gascoigne. When did you come into the picture? John Ronnan (trombone), Bill Smith (clarinet), John Reade (piano), Ian McCann (banjo & guitar), Grant Taylor (drums), Dave Taylor (clarinet) & Dave Parr (bass). Where better to feel full of the Christmas spirit than to join the party with our friends at Boston Spa? We headed south full of "joie de vivre" .....the high street awash with seasonal decorations had us whistling carols as we entered the hall, with another full house - many in Xmas hats & with balloons aplenty - tempting us to dream of that nowadays elusive White Christmas. Manchester born Harrison's first solo CD is an impressive take on 10 of his favourite standards. Using all ten fingers - hence the title - and, I guess, a few toes as well judging by some of the electronic devices used .What is it with today's players and their obsession for digital delays and other forms of electronic sorcery? However, despite having made public my Luddite tendencies I must confess that on this disc they are used sparingly and quite effectively so maybe I may yet arrive in the 21st century. Zoe Gilby, Kieran Rafferty & Kath Jobes (Vocal) Alan Law (Piano) John Pope (D Bass) Jonathan Marriott (Drum) Paul Gowland (Sax). My God. Who is this Kath Jobes? She's at it again. Does someone wind her up & throw away the key? A short, informative review would be suffice, by the time we get to the end, we're bored! Well I will tell you who I am, I am someone who is not afraid to express my views and take responsibility for them. I will stand up for myself and I will not be bullied by some numpty who hasn’t the courage to sign their name to a rude and personal attack. If you had been at Splinter you would have known who I was… or maybe you are just hiding behind your words…. If you get bored don’t read my reviews… Simple! Anyway, enough said! 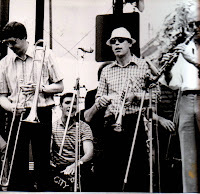 Alan Rudd has passed on the sad news that Joe Errington (River City Trumpet for many years) died on Friday in Denmark. He seems to think he had been ill for a while. Joe did several deps for MSJ in recent years when he was home from Denmark, at Rosie's and the Marquis. Joe was an excellent player, who played in the style of Louis Armstrong, and a nice guy. 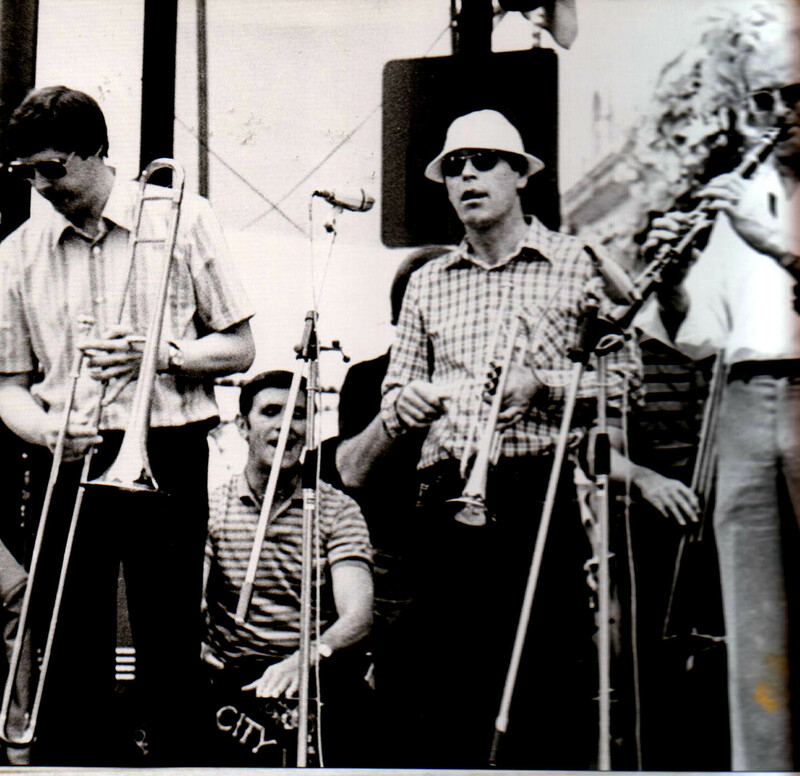 He played trumpet with the River City for many years alongside Stan Martin on clarinet, and Gordon Solomon on Trombone. After his long spell with the River City Jazzmen, he went to Denmark and played with the Papa Bue band. I remember Joe well from his River City days particularly on trips to the Breda Jazz Festival back in the early '80s. Powerful lead and strong Satchmoesque solos. He made quite a few sides with Papa Bue. Chris Finch (pno); Dave Parker (bs); Peter Ninnins (dms); Stuart Mckie (gtr); John Rowland (ten) + some lady songsters. The Salsa Café has a good atmosphere and the jam session seems to be picking up. I'm informed the owner likes the session and has asked for it to continue over Xmas and in to the new year and beyond. Sessions will run from 3pm-6pm and blowers are invited to come along and blow. The singers have already taken root but, hopefully, the horn men will regroup and infiltrate the ranks of the "Now I'm going to sing Summertime" Brigade. In fairness, none of today's nightingales sang Summertime. 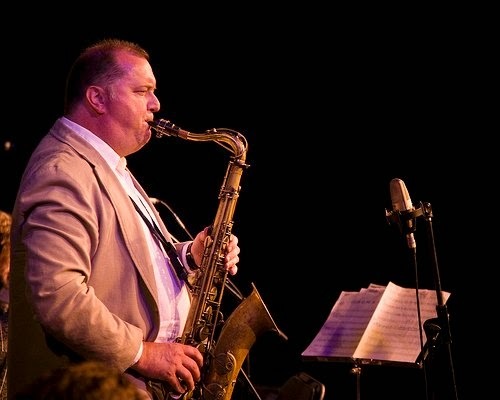 Paul Gowland (Tenor Sax) Marc Jolliffe (Piano) Willie Angus (E. Bass) Mark Robertson (Drums). The blurb said, “One of Tyneside's top tenors: swings like crazy with a tone fit to blister paint” ...and the new paint at the café was well and truly blistered! Have You Met Miss Jones was a lively start to the set, Black Nile displayed the technical ability of Gowland, and then Recorda Me exhibited the skill of each of the musicians in turn… wow these guys really are all stars! Midnight Voyage revealed a melodic sax and tinkling piano, the tenor solo flourished as the sax sung out, and a delightful bass solo from Willie Angus was admired by the appreciative crowd. Anyone using the Anonymous button to post a comment must also sign their name otherwise comment may not be posted. PS: Mickey Mouse, Donald Duck and Adolph Hitler are barred from this site. CD Review: David Bach - Other World. David Bach (All keys inc synth's, Steinway Grand, Fender Rhodes, Hammond etc.). + Various instrumentalists. What can I say about this? It's perfect. Ne'er a note out of place, foot tapping, shoulder moving, hip swinging rhythms - it's smooth. In fact it's so smooth it's like listening to one of those anonymous jazz radio stations that abound in cyber space. Think Spyra Giro, Kenny G, Snake Davis and you get the picture. Which isn't a bad picture but not an Oscar winning one. This is for anyone coming to tomorrow night’s Xmas party at the Black Bull, Blaydon. The old Scotswood Bridge (not the A1 bridge) has a diversion on the Blaydon side. It’s not very clearly marked. If you are coming over from the north best come down the A1 and take the first slip road off once you cross the river. At the roundabout take the A694 for Consett. At the next roundabout turn right (the B6317) which bring you into Blaydon after about one mile. Seven Jazz Leeds springs into action! Lots of international stars, and lots of talented Yorkshire bands to see at Seven Jazz’s two venues, Seven Arts and Inkwell Arts in Chapel Allerton in early 2014. Firstly, award-winning jazz alto saxophonist and hip hop star Soweto Kinch celebrates the release of his studio double album titled ‘The Legend of Mike Smith’ - the tale of a young MC caught in a very modern world of temptation on January 23 at Seven Arts. Then Canadian Trumpeter Jay Phelps has put together a wonderful Transatlantic sextet to perform the music of Miles Davis in his “Projection of Miles” concert for February 20. This was the first of a regular spot for the Paul Edis Trio, 2nd Friday of the month, and if this evening’s set was anything to go by, it will be a good night out! This was my second sojourn to the recently re-opened and refurbished Jazz Cafe and after the initial shock of the changes it’s beginning to grow on me, I particularly like the sheet music wallpapered onto the stairwell, a much brighter feel now, and the ambience is growing as a small appreciative audience settles in… a work in progress… yes indeed. In Tune - BBC 3 (4:30pm. The musical review Café Society - Swing which runs for two nights at the Leicester Square Theatre next weekend (Sat Dec. 21/Sun. 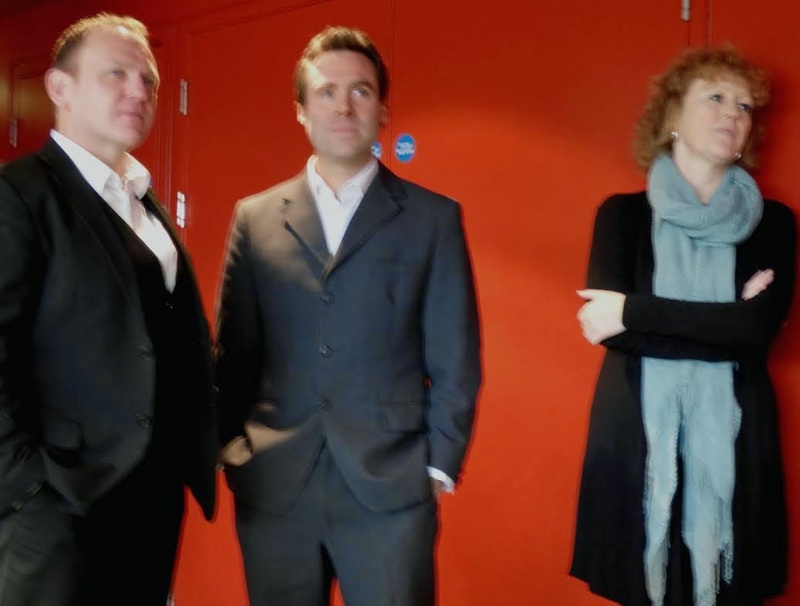 Dec 22) was previewed today on Radio 3's In Tune program. Writer and pianist Alex Webb is interviewed and it sounds good. Check out the poster in the right hand column or go to the BBC iplayer. It starts about 6 minutes 30 seconds in. Keith Robinson (alt/sop); Steve Summers (alt/Ten); Graeme Wilson (ten); Niall Armstrong (bar). Much of the material played was from Saxophonics recent CD The River Flows at Night which I reviewed last month. This afternoon was used to launch the CD to a very well attended Lit and Phil and, if the reception given was anything to go by, they should have shifted a few. The live performance was every bit as good as the CD which is praise indeed. However, in keeping with the time of year there were some seasonal items not on the disc but which still made for good listening. Djangologie @ Bridge Hotel, Newcastle - JNE Xmas Party. Emma Fisk (vln); James Birkett/Giles Strong (gtr); Mick Shoulder (bs). A good crowd and a good band - what more do you need for a Xmas Party? Nothing! This Jazz North East celebration of Christmas was indeed a Cracker. An absolutely perfect gig by four immaculate players. Jazz Café Dates for the Diary. Jazz Café 0191 2615618 open late 11am-1am Fridays and Saturday …. admission free up to 9.30pm. "brilliant young pianist " The Guardian. One of Tyneside's top tenors: swings like crazy with a tone fit to blister paint. Sunday Night Stomp End of Year Special. Come along to Swing Tyne! 's 'Sunday Night Stomp' end of year special on Dec 29 at Hoochie Coochie? Fresh from his day job with Pokey LaFarge, we have TJ Muller and his newly-formed Honky-Tonk Jazz Band playing a live set. Free entry! Come along! Read about this amazing musician/sportsman who died on November 13. Thanks to Maurice Summerfield for drawing this New York Times article to my attention. Jim Hall has always been one of my favourite jazz musicians – right from when in 1957 I first bought his LP ‘Jazz Guitar – Jim Hall Trio’ with pianist Carl Perkins and Red Mitchell on bass. I also loved his particpation with various Chico Hamilton groups. Chico sadly of course also died a few days ago. I now have that historic LP recording on CD (Gambit 69259 and Avid AMSC1033) – and I still listen to it very, very often. I have dozens of Jim’s recordings as leader, in a duo with Bill Evans, with the Jimmy Giuffre Trio and in marvellous groups led by Paul Desmond, Art Farmer, Sonny Rollins and other jazz greats. He was often referred to as the ‘Poet of Jazz Guitar’ – and this I believe he was. The epitome of musical taste – and a true innovator. I was fortunate to spend a week with Jim at the 1989 Midnight Sun Guitar Festival in Ikaalinen, Finland. 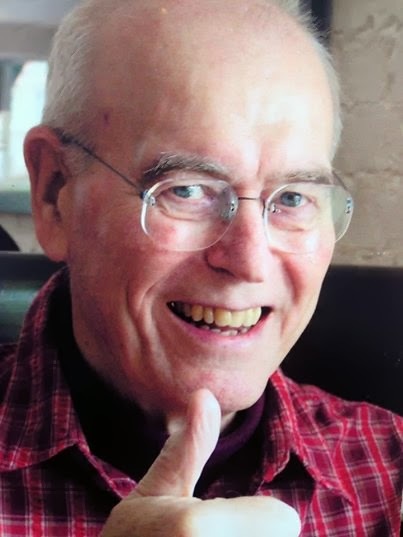 He was a man of deep intellect, quiet personality and good company. I just received a few weeks ago his new marvellous 3-CD set from his Artist Share Records company – ‘Jim Hall Live – Vols 2 - 4 Toronto 1975’. A wonderful testament to Jim’s genius. 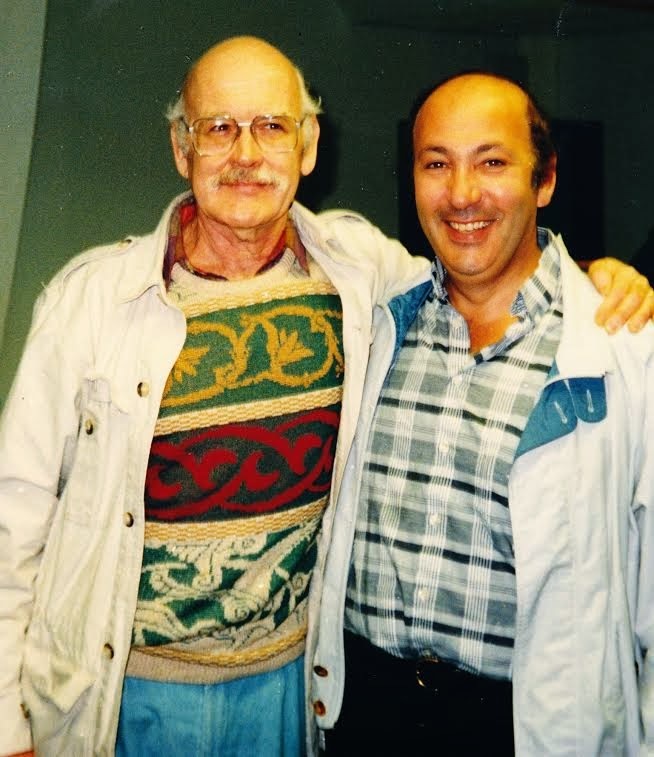 Jim Hall was truly a jazz giant..
Photo:Maurice with Jim Hall in Ikaalinen, Finland June 1989. To my mind Jim Hall was the gentle giant of jazz guitar. His tone was quiet and soft and lulled you into the false belief that he wasn’t really doing very much until you tried to copy his runs, licks and chording. It was then you realised that this was no ordinary player and any complacency on your part was immediately replaced by feelings of inadequacy and awe. From his insistent rhythmic accompaniment with Jimmy Giuffre and Bob Brookmeyer, his exciting duets with Jimmy Raney and his superb album with the wonderful Carl Perkins on piano, to his tasteful solo performances, Hall has left an unequalled legacy of excellence. My particular favourite performances are his solo on “Deep in a Dream” on the aforementioned album and his playing throughout “In the Wee Small Hours” with Gerry Mulligan. I caught him once in London and came away spellbound and inspired in the same way I would have been if he had been Django Reinhardt or Charlie Christian. High praise indeed but totally deserved. 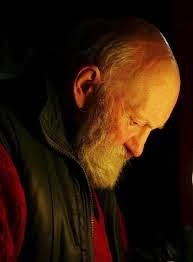 The news of his death has shocked and saddened me immeasurably. OK so I'm the corner shop and Facebook is Tesco/Asda/ Sainsbury's and Morrison's combined. 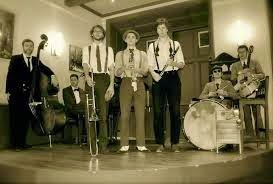 What I'm trying to do with this blog is to create a scene for local jazz groups and musicians to have their gigs publicised and reviewed - to promote and to keep the public informed of future gigs, CDs, and items of interest re the band etc. Many local bands and musicians do help me (and themselves) by providing up to date info but not all. What often happens is that I pick up items on Facebook that are past their sell by date that could have been given publicity.. So please, tell the fans on face book by all means, but also keep Bebop Spoken Here in the frame too. We're working for you and it gets networked on Facebook and Twitter anyway so remember we're always here when you run out of salt peanuts! salt peanuts! we're open till 'round midnight too. The word is that one of the world's greatest jazz guitarists, Jim Hall, passed away in his sleep early this morning. I haven't had absolute confirmation but I think the source is reliable. How sad is this and how sudden? Less than a fortnight ago Mike Papapavlou reported on the awesome experience of hearing Jim Hall in New York and now he's gone. It was back in the 1960s when I heard Jim Hall as part of the Jimmy Giuffre Trio in a JATP package at Newcastle City Hall. Such a cool, laid back player. Years later, Roly Veitch introduced me to the Jim Hall/Paul Desmond sides and in between I'd heard Hall on Sonny Rollins' legendary LP The Bridge. Guitar playing of the highest quality. I'm hoping my information is wrong but, somehow, I know it isn't. The jazz world and the guitar world has lost a giant. PS: Confirmed with this obituary from Ottawa with lots of clips. My Gig of the Year is one that stands so high above the rest that the others, no matter how big the names involved, become, by comparision, Conference as opposed to Premier League. It was also the first gig of 2013 and it set a standard none could match, possibly no gig ever will. I refer, of course, to Keith Crombie's funeral, the procession behind the horse drawn hearse, the service, the journey back in a London Transport Routemaster bus and the wake/jam that took place in the Town Walls pub opposite the then spectre-like Jazz Café. Ellington or Basie couldn't have wished for a better send-off. I didn't want to be there - I'd sooner have been across the road exchanging improbable stories with Crombie but, as that wasn't going to happen ever again, I'm just glad I was. PS: and next year - no prizes for guessing what my Film of the Year will be! Wow what a busy Sunday! First I went to the inaugural Jam session at Salsa… great to see some new faces… long may it continue… you can never have too much Jazz! After a bite to eat at and a natter to a couple of folks, I moved on to Splinter at The Bridge… well, I thought, why not make an evening of it? I think I was the first one there… apart from the band, but slowly the numbers grew, although not quite as well attended as expected…but that’s the way it goes sometimes. Durham University Big Band present an evening of swing, funk, latin, cool jazz and re-workings of all your Christmas favourites. Get yourselves down to the Riverside Bar and Café, grab a drink and the band will get you swinging into the Christmas spirit! Free entry, but we will be collecting money on behalf of Durham Foodbank throughout the night. Durham Foodbank provide nutritionally balanced meals to over 1100 people in crisis every month throughout County Durham. When you have no financial safety net, a sudden crisis such as a bereavement, benefit delay, redundancy or illness can leave you unable to feed yourself or your family. This Christmas, Durham Foodbank needs your support more than ever. Colin Stranahan (drums); Glenn Zaleski (piano); Rick Rosato (bass). A classic ‘piano trio offering’ with a hint of a modern twist. Kicking off with the lively title track, Limitless, the trio highlight both their collective and individual talent. All tracks are penned by members of the trio apart from an enjoyable version of Monk’s Work. 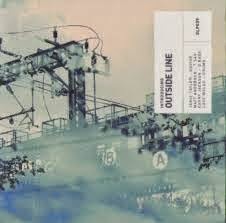 The album flips from quiet meditative pieces to more lively expansions. The former illustrated best by Cyclic, Vio where we really get to hear Rosato’s fine Bass playing and my own personal favourite Motian Sickness (dedicated to Paul Motian). The penultimate piece Rock Song is not surprisingly jauntier altogether showcasing Stranahan’s great percussion work. Finally Chorale (dedicated to Fred Hersch) sees Zaleski at his most Bill Evans like as he plays us out subtlety and gently. This album won’t be starting any fires in the pet shop but for those who enjoy the piano trio genre it should be a most rewarding listen. Jazz has always been a battlefield. Whether it be the swing/bop or the trad/modern confrontations of yesteryear or the petty squabbles of today when Jazz needs a united front more than it ever has. These thoughts were uppermost in my mind when I paid a visit to the initial Sunday afternoon jam at the Salsa Café. Sunday afternoon jams are part of the Jazz Legend! I can relate back to the Bluebell in Felling where, every Sunday in the 1960s, Teddy Langston and Arthur Luke took on all-comers and usually sent them home crying! I recollect Paul Gowland's dad Alan, being one of those who bit the bullet and held his own playing some brilliant vibes. On my honeymoon - We went to a Sunday lunchtime jam at the Tally Ho in Kentish Town - the jam session to end all jam sessions. Jazzman Documentary - last day - £129 to go. Redemption Jazz Fill Empty Shop. December 4. Jazz Café Preview Thursday December 5. The Jazzman Documentary Final Appeal. A Date For The Diary (Night Owls only). Claire Kelly Trio – Salsa Café November 30.